Dayton spent most of today's walk up to the top of his ankles in mud, so you know what that means. I spent most of the day up to my knees in mud. 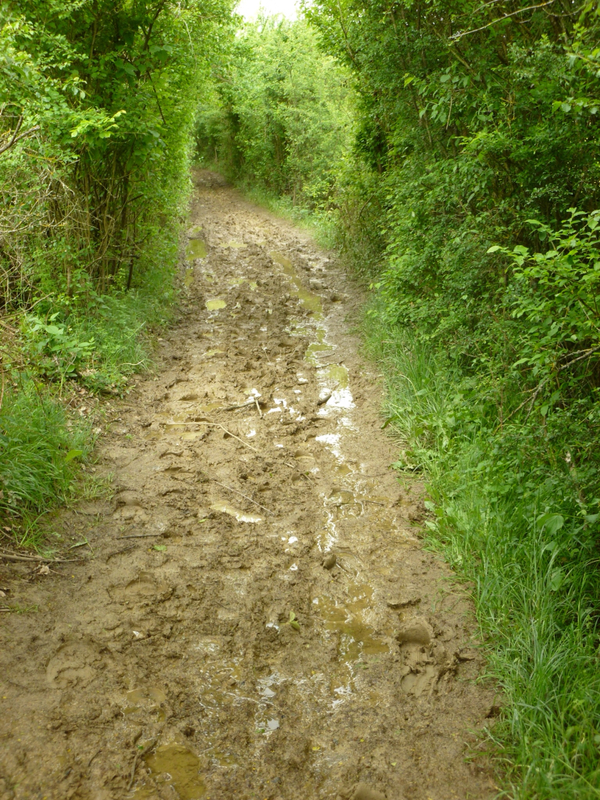 It was not a very pleasant walk, muddy and slippery, which made it very hard on the ankles and the knees, but I guess we should be grateful it wasn't rain and mud. We really need to explore some road walking. After a wonderful breakfast of croissants, yogurt, breads and confitures, we left our very genial hosts and headed into Auch which was not very far, only about six kilometres to its centre. Wisely, we took time to go into the first supermarche we saw to stock up on apples, gummy bears, baquettes and nuts. We never saw another epicerie so good for us for expecting every opportunity to be our last; it usually is. 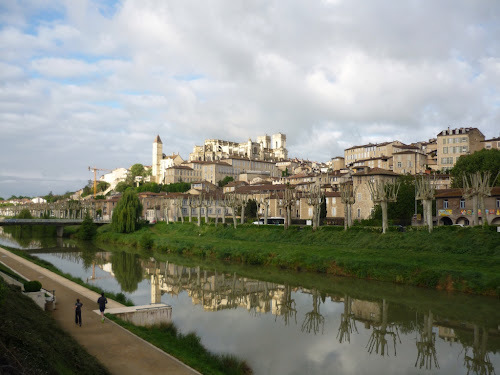 After touring the centre of town and visiting the most impressive Cathedral of Sainte-Marie, we decided we would not have time to walk another 32 kms to where we have reservations for tonight. The timing of the buses wasn't going to help us out either as we would have had to wait two and a half hours for the bus, an hour on the bus and then start walking around 2pm. 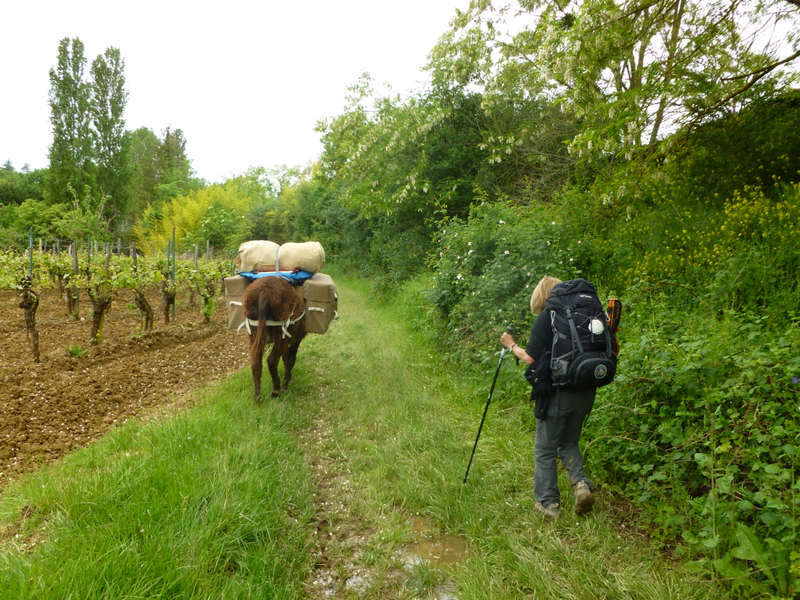 Instead we called a cab to take us several kilometres out of Auch and we were able to start walking around 11:30am. I was feeling a little guilty for not doing the full 32kms, but with the level of difficulty of the hours of mud we walked through, our 16kms can easily be adjusted to 32kms. 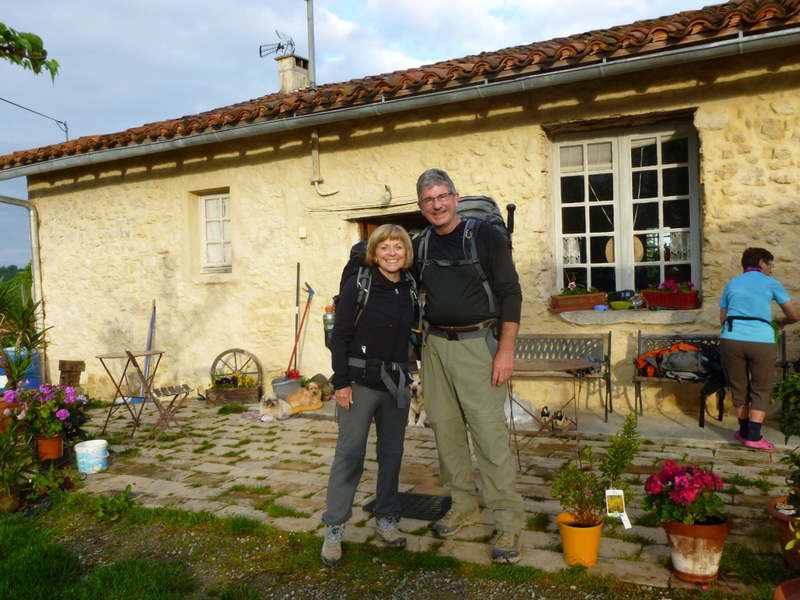 We actually thought that we would arrive at our gîte too early but slogging through the mud, bracing yourself with your poles to prevent major wipe outs, is slow and tedious work. For a while we were walking with a couple and their donkey which was laden with their panniers and sacks full of camping gear. I could definitely empathize with that loaded down beast. The only difference between 'Venus', the donkey, and me, was that she had prettier eyes, oh and she was moving faster. She even head butted me out of her way and only my hiking poles saved me from becoming one with the mud. 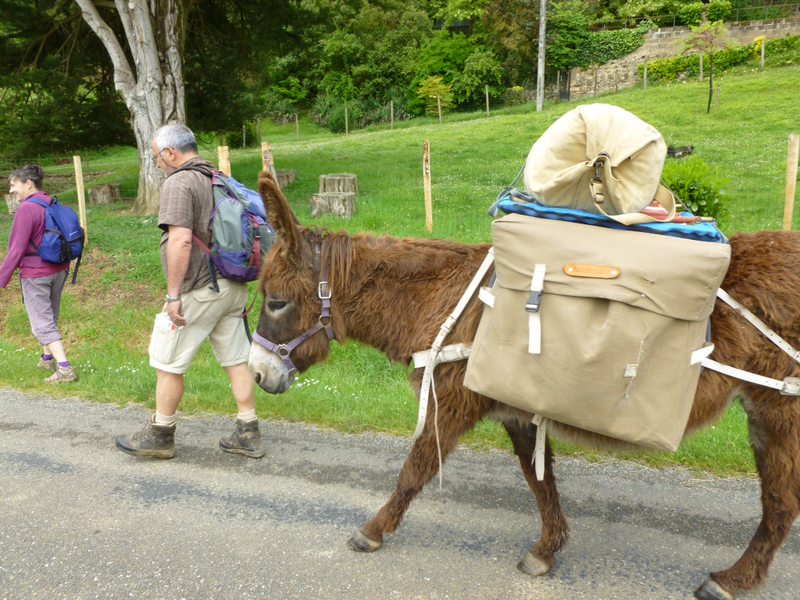 Just before 6pm, Daniel Segura came to pick us up and take us to meet his friend the Abbé George Bernés, a ninety-two year old priest who has walked the Camino over fifty times and who wrote a book about the bridges along the Camino Frances with photos by Daniel. George is definitely an authority on the Camino; it is his passion and it was certainly a special moment for us on our Camino to speak with a gentleman wo walked the Camino for the first time in 1954, before there were any gîtes or albergues and before it had become 'popular'. I doubt he would have been whining about the lack of café stops or epiceries. The Gîte d'Etape/ Chambre d'hôtes where we are staying tonight , La Ferme des Grisettes is a duck farm and this is duck country. We 'dined' at 8:30pm with an aperitif, duck pâté, an onion tart and huge duck breasts, and then an apple tart for dessert. And by 'we' I really mean my other seven dining companions. I watched and happily ate my salad and plain pasta. I think Dayton and I missed most of the dinner conversation but we enjoyed the evening regardless.